The data was added on ,	21 May 2016 read 878 times. “However, even after their martyrdom, we can’t talk about them, and we can’t introduce them to the people except very briefly. The reason for that their life, achievements, and the details of their conduct and personalities have fused, melted, and dissolved in this resistance and in this procession. Their days and nights, as well as their efforts and hard work, are all devoted for serving this procession and this resistance”. Those are the words of Hezbollah Secretary General, Sayyed Hasan Nasrallah, describing the martyred leaders in the Islamic resistance in a speech he delivered during the memorial ceremony of Martyr Leader Hassan Lakkis. Accordingly, we can apply Sayyed Nasrallah’s words more or less on the biography of the great jihadist commander martyr Mustafa Badreddine (aka Sayyed Zulfikar). All through the years of his work with the resistance, he risked his life in pursuit of the enemies in areas as Khaldah and the airport bridge, confronting the Zionist enemy. His goal was to fight them all along the Lebanese territories, as a starting point, and then to face the US schemes in the region and the Takfiri threat. Without going into the details of the military or security work; considering that the resistance does not reveal the secrets of its work, even after many years, one of the cadres of the resistance “Hajj Abou Allam”, (who worked for long periods with Martyr Badreddine), stressed that “Mr. Zulfikar contributed to the development of the work of the military resistance. In addition, he was interested in other aspects that were of great importance and these aspects shored the work, achievements, and activity of the resistance up. One of these fields was the “Media” field and the different media types, especially regarding issues that serve the psychological warfare with the Israeli enemy”. “Hajj Abou Allam” pointed out that “Martyr Badreddine focused permanently and significantly on the importance of media, especially the so-called Visual Media (photography, camera, etc..) in helping the true image of the resistance, its role, operations and achievements reach to the public opinion and in delivering its news to keep people well-informed about all the developments so as to increase their morale”. 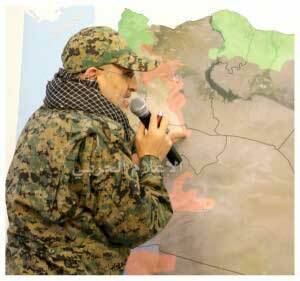 He continued: “Martyr Badreddine mastered how to take advantage of the image and the news in the psychological warfare against the enemy, for which he kept on searching for the latest methods and technology that will help him achieve this goal”. “Hajj Abou Allam”, Badreddine’s friend, drew the attention to the fact that “Mr. Zulfikar contributed significantly to the development of the work of the military media in the Islamic resistance and because of him it has reached to this progress today”. In the same context, he added that Badreddine used to build close ties with many of the media personalities, journalists, reporters, and the different types of mass media, regardless if they were resistance supporters or no. “He was also keen to open up to everyone, without exception, in order to reflect the true image of the resistance, its role and mission in the face of the enemy”. Perhaps, Marytr Badreddine’s media-oriented role was what made the enemies try to engage in this media battle to distort his image before and after martyrdom. This also comes because they were aware that media is part of the battle that contributes to mobilizing the public opinion for or against any cause. “Hajj Abou Allam”, explained that “Martyr Zulfikar” was well informed about all the details related to the resistant-work, as he used to look over and verify all the reports prepared by the military media to avoid any technical vulnerability before being spread or any other security vulnerability that could allow the enemy to achieve a certain breach in the war against the resistance. He pointed out that “Martyr Badr al-Din used to focus over on following-up all the news about the Israeli enemy, especially in the Hebrew media, to learn how to utilize this in the war with the enemy”. In fact, one of the significant achievements by Martyr Zulfikar, was the famous operation known as the Ambush of Ansariya in the summer of 1997, where he had a fundamental role in planning and leading as well as overseeing the implementation process. 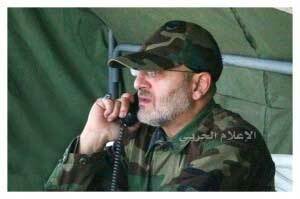 “Hajj Abou Allam” or “Al-Chayeb”, as commander martyr preferred to call him, narrated how “Mr. Zulfikar chose accurately the mujahidin fighters who participated in the operation and how he prepared them psychologically and intellectually and guided them to carry out the operation through extensive explanations for all security, military, logistical and mechanical details related to the operation”. “Hajj Abou Allam” stressed that “Mr. Zulfikar”- thanks to his high military and security expertise and his acute intelligence- was able to combine available related information and to interpret how the Israelis think and the way by which they would implement the operation, as well as the pathways that would be used by the Zionist force that came to the place. Based upon this, he planted the bombs and drew the map to deploy the resistance fighters therein. In fact, this was the reason why Ansariya operation was a hundred percent successful operation as disclosed by the Zionists themselves”. “Al-Chayeb” pointed to the fact that “the commander martyr kept Ansariya operation a top secret, and only a narrow circle of people knew about it. He also hid all the practical details from the military media that was supervised by him”. He continued saying that “the commander martyr has chosen for this mission a specific media personality who work for foreign agency to film the first moments after the operation directly from the battlefield aiming at spreading the operation across the world, particularly in Israel. He also aimed at mobilizing the Israeli public opinion against the military leadership and the government, and this is what actually happened”. He added that “Mr. Zulfikar used to direct the military media to address the Israeli public and to underline the weakness of the enemy’s army in front of the achievements of the resistance”. According to “Hajj Abou Allam”, the way by which the said media personality or journalist who recorded the film footage of the operation after its implementation have had access to the battlefield was orchestrated directly by Mr. Zulfikar, and even those working in the military media did not yet know how did this take place”. As for the personality of Martyr Badreddine and his relationship with others, “Hajj Abou Allam” said that “Martyr Badreddine, despite the fact the he used to give wholehearted support and to develop close relationship with those who work with him, he was very tough especially in issues related to the details of the work, accepting no failure in any way”. He continued saying that “he was close to everyone and respects all those who work with him, as he used to precede others to do the work with a high level of accuracy”. According to “Hajj Abou Allam”, “Mr. Zulfikar was close to the brethrens in the work, and was as well close to the people in general and to his family and relatives. Based upon this, he did not abide a lot by the security measures required by the leadership of the resistance; for he was enamored with the people of the resistance and always liked to connect with the pulse of people”.